I love a swalley. I’m from the Weeg and I’m student so I can say that without fearing your judgement. Don’t get me wrong, I’m fully aware of the dangers of binge drinking and while I may still be a student, those endless weekends of boozing till dawn are firmly behind me. Being a ‘mature’ or ‘postgrad’ student however means I’ve simply replaced Jaeger-bombs with wine or Aldi Prosecco (if I’m feeling particularly flush) This means I can chug away to my hearts content, like the stereotypical student I am, but feel a sense of superiority over the fact I’m drinking out of a champagne glass. I do have a point here and that point is booze. Lots of it. Regardless of whether it’s in my wine glass or in my cake, I’ll take it. 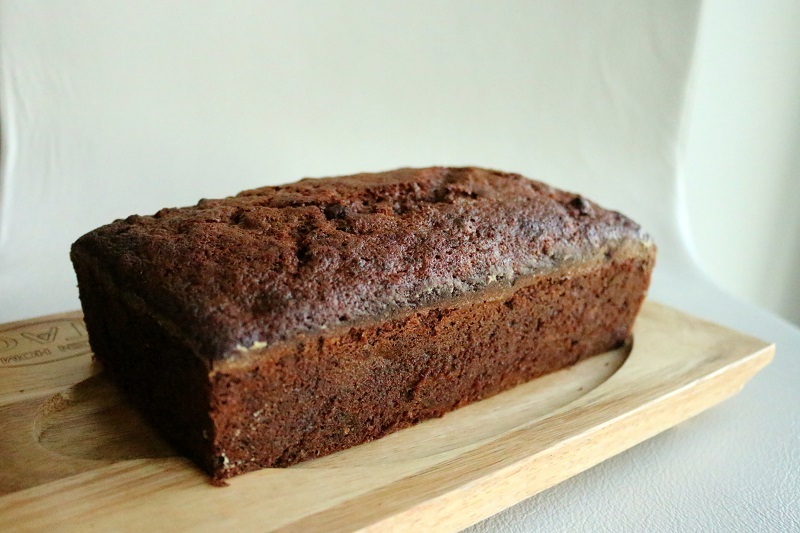 This cake started out in life as a standard Banana Bread from Nigella Lawson’s How To Be A Domestic Goddess, a cake which needed no tinkering. In fact, I’ve been using her original recipe for years and I love it. It’s one of those age-old classics you could get really good at and churn out time and time again. So why play around with it? Like most of my kitchen tinkering, it started out with a lack of, or excess of, ingredients. In this instance, I had bourbon and I had dates, it was that simple. 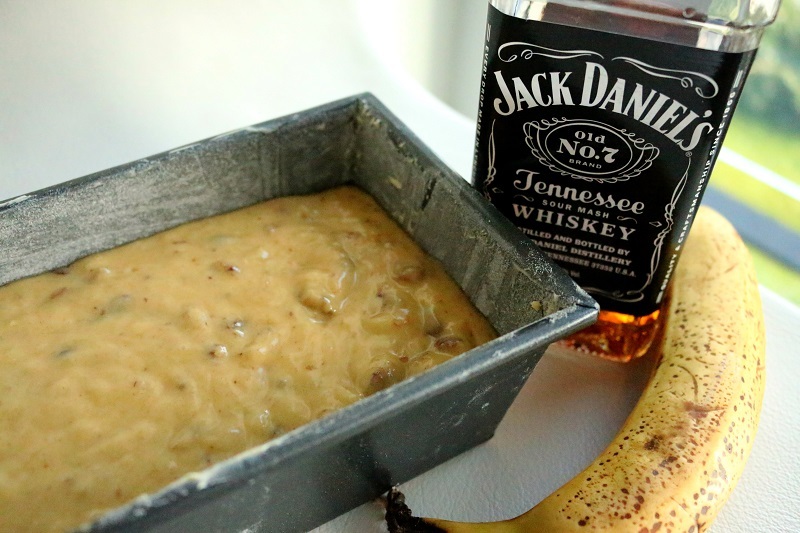 You could skip the bourbon when making this cake, particularly if you’re serving it to kids, but the alcohol burns off so there’s really nothing to worry about (I say that with the casual flippancy of someone who doesn’t have kids of course!) 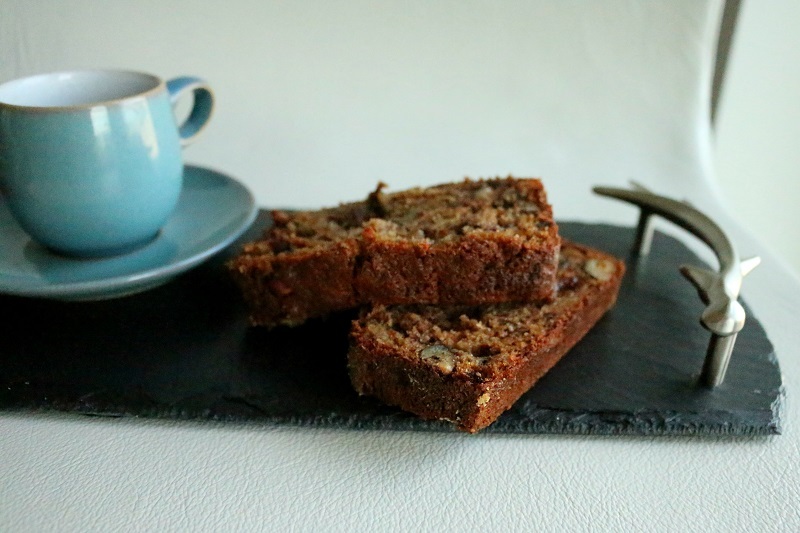 Bear in mind the bourbon is used to plump up the dried fruit and give the cake a wonderful smoky background flavour, which in my mind, makes a big difference. However a suitable alternative is hot black tea, whether that be PG Tips or Earl Grey. But I say go for the bourbon. You can always treat yourself to a swalley while its baking and who doesn’t love that kind of baking? 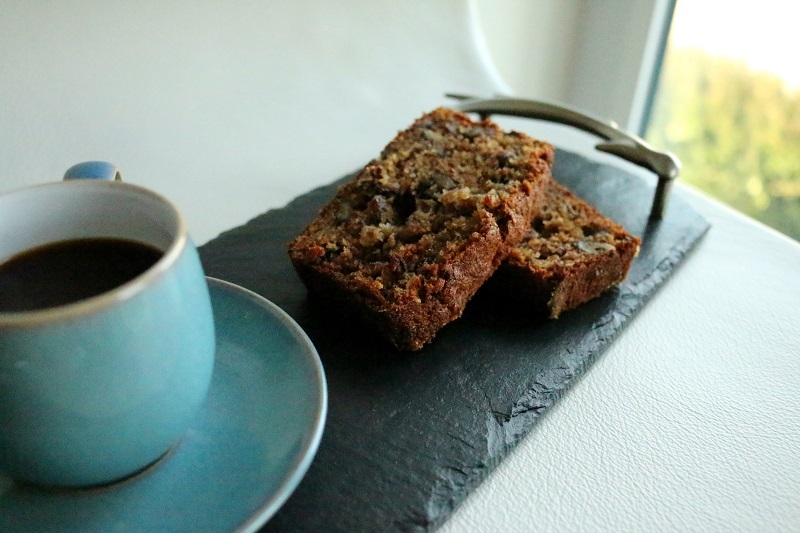 Place the sultanas, dates and bourbon into saucepan and bring slowly to a boiling point. Remove from the heat, cover and leave to soak for 15mins. Use this time to get the rest of the ingredients together. If you prefer not to use alcohol, then replace the bourbon with same quantity of hot water & drop a tea bag into the pot. Discard the teabag when you remove the pan from the heat. Meanwhile, melt the butter and heat the oven to 170C/Gas Mark 3/325F. Grease, line and flour a loaf tin. Click here for tips on how to prepare cake tins. 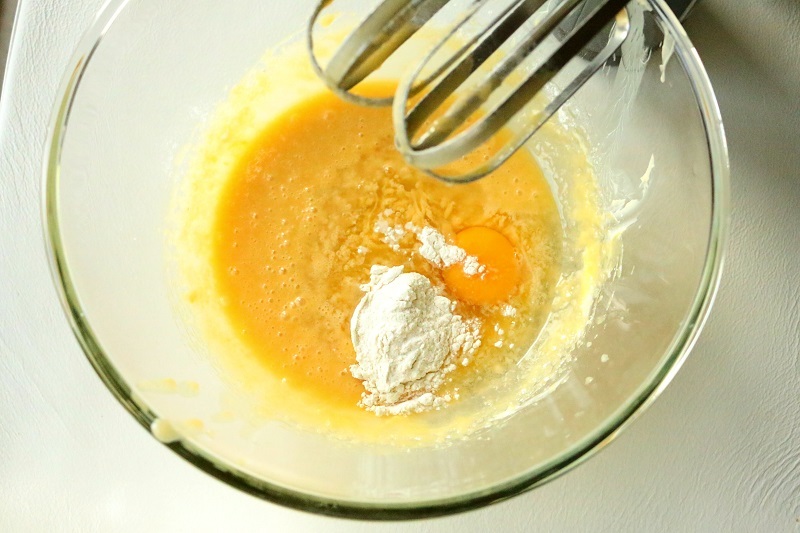 Measure out the dry ingredients (flour, bicarb of soda, baking powder and salt) into a bowl and set aside. In a second large bowl, beat the melted butter and sugar together until combined. Beat in the eggs, one at time, with 1tbsp of the pre-measured flour. This will help prevent the batter from curdling. Peel the bananas and mash in a 3rd small bowl with the back of a fork. 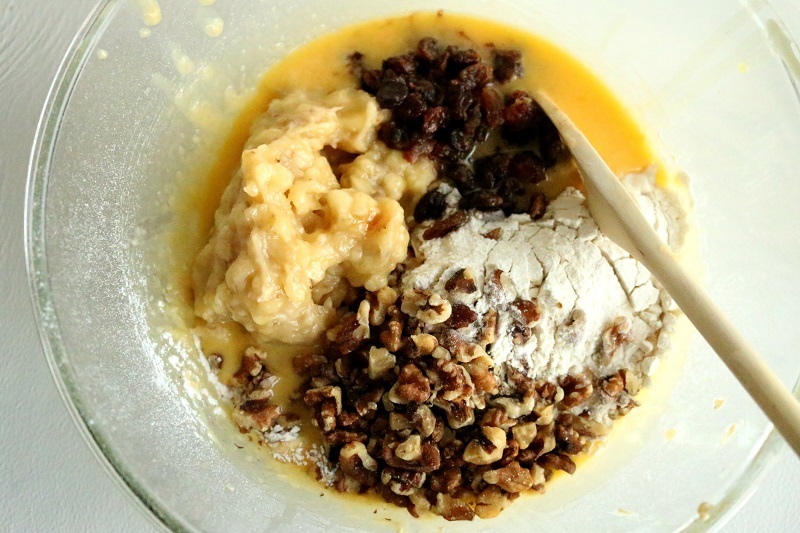 Add the mashed bananas, walnuts, vanilla extract and drained soaked fruit to the cake batter, then sift in the flour mixture. Stir until combined. Scrape this batter into the loaf tin and smooth the top so its flat. Bake in the middle of the oven for 1hour – 1hour 15mins. Check the cake after an hour by inserting a toothpick into the middle. If it comes out clean then its ready. If not, give it another 10 mins and check again. Leave the tin on a cooling rack for 5mins before removing the cake from the tin. You can do this by gently running a butter-knife between the cake and tin, turning it onto the cooling rack and tapping the base of the tin with your knuckles. If you prepared the tin correctly, the cake should slip out easily. Leave the cake to cool before serving in thick slices.